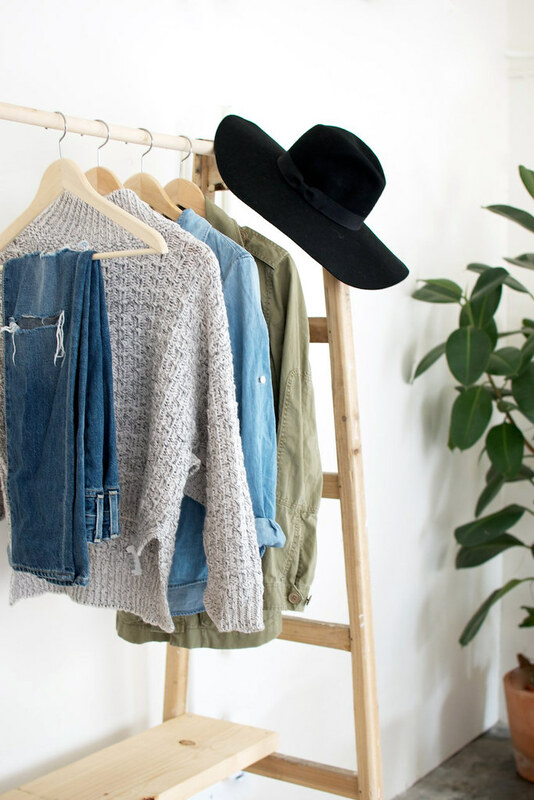 A change of season is obviously the perfect time for a closet refresh, regardless of whether you’re in the southern or the northern hemisphere. 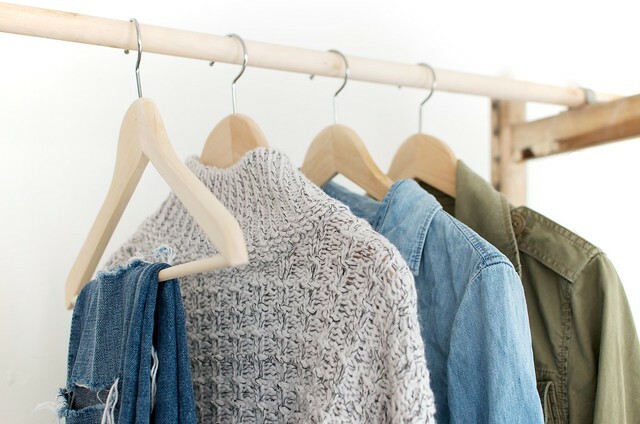 But it’s for this reason that often the Spring/Fall seasons have us all ‘ I NEED ALL THE THINGS NOW, RIGHT NOW!’, leading to a closet full of trend driven items that don’t a long term, minimalist closet make. Instead of doing that, why not dip your toe in carefully by adding a few key and staple pieces to your closet that you’ll wear season after season, which can be mixed with heavier – or lighter – pieces depending on where you hail from? Sign me up! Read on for a few of my trans-seasonal staples. 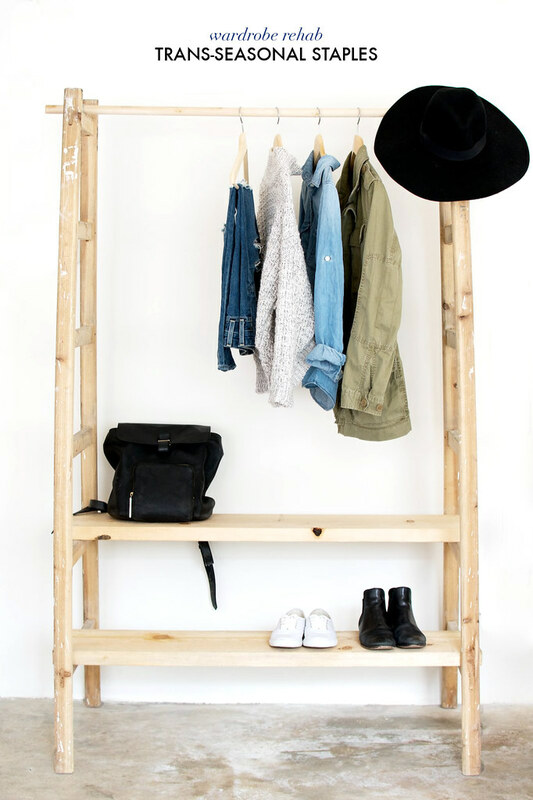 Make yourself a ladder wardrobe using my tutorial here. Maybe you’re sick of my obsession with khaki jackets, or maybe you have one and understand their inherent value for the between seasons… Either way this piece is a great place to start when it comes to building a wardrobe that works. Think the colour is limiting? From experience it’s not, khaki for me is a hue that acts as a staple, able to be work with simple basics like a striped shirt as well as bright colours and prints. The one above is from J Crew (like this), I also like this one, this one, this one and this one. A denim shirt is the perfect bridge into either Summer or Winter, because it’s just as perfect worn with cut of white shorts as it is with thick woollen tights and a leather skirt. 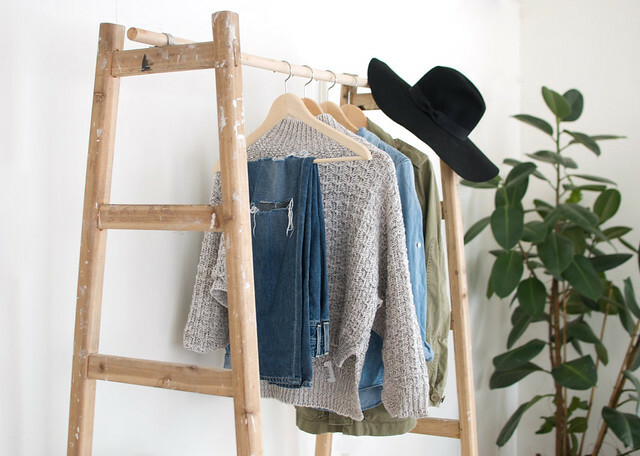 The one above is from Madewell, but also this one, this one, this one and this one would be great. Also pop into your local thrift store because the denim shirt is often easy to find in there. A knit will keep you cosy whether you wear it with a pair of denim shorts or a pair of jeans – and is perfect for those days when you don’t know how the weather will turn, will it be hot or cold today? Or four seasons in one day? Mine is from Witchery, but I also like this one, this one, this one and this one. Ripped denim is something that will no doubt serve you best in the between seasons, whether it be a skinny or boyfriend style you’ll be able to integrate them into every outfit under the sun – although to the fair ripped jeans aren’t feasible for either seasonal extremes (too hot in summer and giant holes in winter) which is why they’re best for the between times. You can DIY yours here, or grab a pair here, here, here or here. As someone who rarely (ok never) plans their outfits in advance, I’m happy to report that the humble fedora is the perfect accessory for making you appear really put together. Pair that with the fact that they work with a tee and shorts as perfectly as they go with an outfit of tartan coat and black skinny jeans, and you’ve got a between seasons (in fact year round) staple! I love my oversized Lack of Color one, and also this one, this one, this one and this one would be perfect. Ok so the backpack isn’t quite a seasonal item but trust me, your back and neck will thank you regardless of whether you’re shivering or sweating. Just get one. (This announcement was brought to you by your mother). Mine is from Whistles and I also like this one, this one and this one. It wasn’t until last year that I got my hands on a simple pair of super flat black ankle boots, and went about wearing them every single day (like, literally) , so much so I had those pangs of annoyance that I hadn’t bought two pairs when I stumbled upon them. Ahhh well aint that life? I found that the chelsea style with the elastic on the sides is the best for day-long comfort, worn with denim cut off shorts in spring and jeans or tights in fall. Mine were from Witchery (now long gone), but I found these, these, these (if you’re feeling flush) and these which are all great. Now to decide which ones to get once the leaky soles in mine get too bad….